More of a rarer piece of the little boys by Homeco. 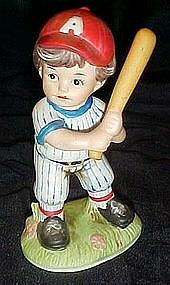 This is the little league baseball batter #1468. He is 4 1/2" tall and in excellent condition with no damages. I have the catcher listed also.